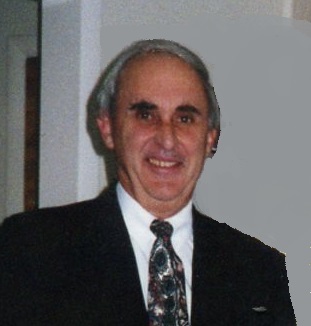 Anthony P. "Tony" Santini, Jr.
Anthony (Tony) Peter Santini Jr, 80 of Fulton Maryland passed away October 25, 2018. He was born in 1938 to Anthony and Theresa Santini in Washington D.C.
Tony retired from J.Thomas. Bowles Electric Inc in 2013. A loving husband, father and grandfather, he enjoyed golf, softball, shooting pool, karaoke, his cats, playing cards and hot rods. He is survived by his wife of 58 years Gloria Jean Santini, son Vincent Anthony Santini and his wife Pamela Ann, daughter Debra Renee Santini, Grandchildren Cody Lee Byrd, Jesse Michael Byrd, Paula Ann Didier and Jason James Didier. He was preceded in death by brother Frank Vincent Santini. Visitation will be on Sunday, October 28, 2018 from 2:00 PM until 4:00 PM and again from 6:00 PM until 8:00 PM at the Donaldson Funeral Home, P.A., 313 Talbott Ave, Laurel, MD 20707. Funeral services will take place in the Chapel of the funeral home on Monday, October 29, 2018 beginning at 11:00 AM. Interment will follow at Union Cemetery in Burtonsville, MD.